Scientists from NUST MISIS and colleagues from the University of Bayreuth, the University of Münster (Germany), the University of Chicago (US), and Linköping University (Sweden) have created nitrides, previously considered impossible to obtain, via a very simple method of direct synthesis. The results have been published in Nature Communications and Angewandte Chemie International Edition. Nitrides are actively used in superhard coatings and electronics. Usually, the nitrogen content in these materials is low, and it is therefore difficult to get the nitrogen levels to exceed the levels of transition metals (as the nitrogen bonds are very high-energy). The elements rhenium and iron, which the researchers chose for the experiments, characterize this problem particularly well. As such, the researchers decided to change the synthesis from ordinary conditions on Earth to a condition of ultra-high pressure. "This method is one of the most promising ways to create new high quality materials, and it opens up fantastic opportunities. There are well-known examples like artificial diamonds and cubic boron nitride (CBN), which have existed in a natural form. However, we are consciously creating materials that are impossible [to make] in nature," said Igor Abrikosov, head of the NUST MISIS Laboratory for the Modelling & Development of New Materials. According to Abrikosov, the experiments produced results almost immediately. Nitrogen, together with a transition metal, is placed into a diamond anvil cell and a simple direct synthesis is carried out under high pressure. "Rhenium nitride has a characteristic of low compressibility, so it potentially has very high mechanical characteristics and the characteristic of superhardness—which is important, for example, in improving the quality of cutting tools," Abrikosov added. 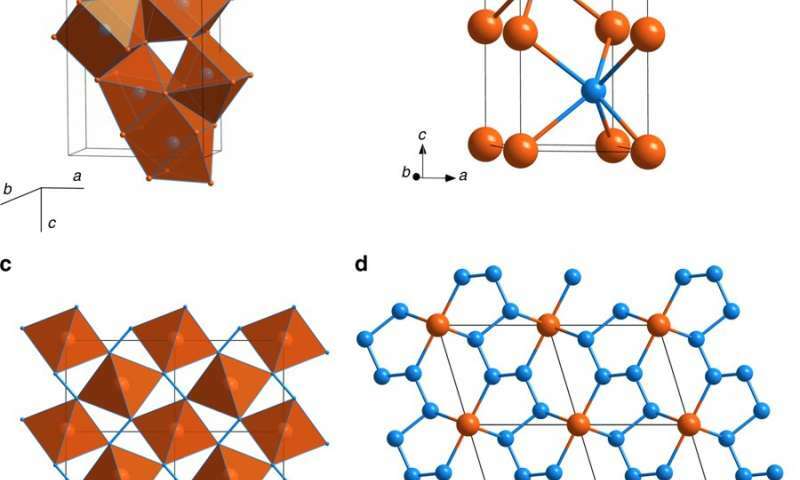 Abrikosov believes the research group will later clarify whether the materials are superconductors or magnets, and whether they are suitable for spintronics. Their backward chaining requires more experimental research for further analysis. This research is already underway however, and it will likely bear fruit within the next year. If the research team proves the material's assumed superhardness, then within five years we will be able to see "impossible" materials being used in commercial fields.